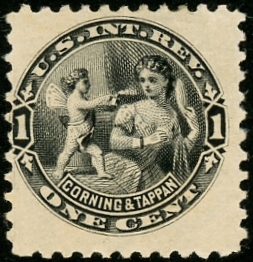 Corning and Tappan stamps were issued from late in 1878 through February 15, 1883. 4,268,360 were issued, all on watermarked paper. This includes both the printings in black and the ones in blue. Some of the black ones were die cut and some were perforated. 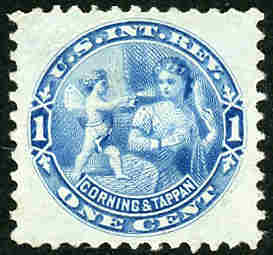 The blue printings are by far the most commonly found. 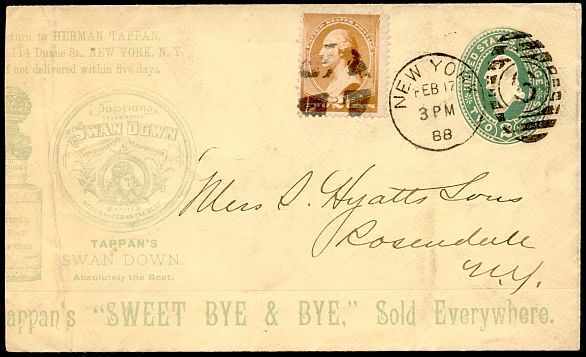 An 1888 cover illustrating some of Tappan's products. Corning is not in the picture by then.